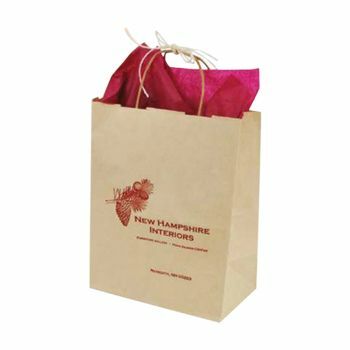 This fun and stylish kraft paper tote bag features solid colored tints in bright colors. 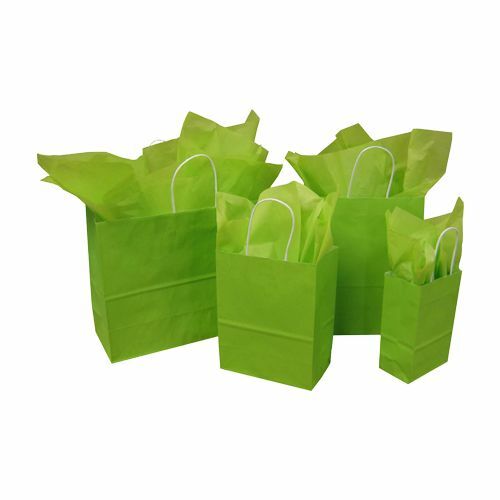 Twisted paper handles make it easy to present to your customers. 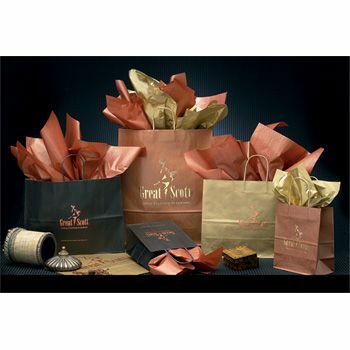 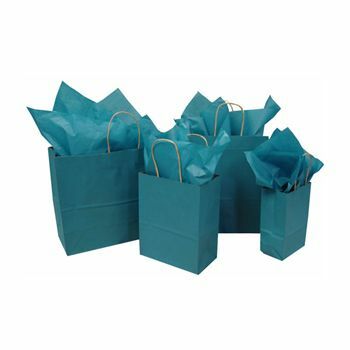 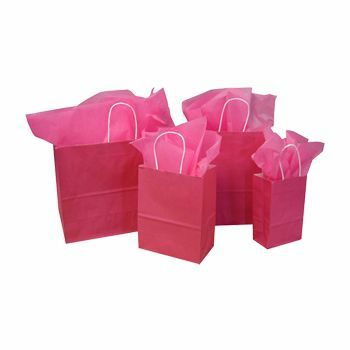 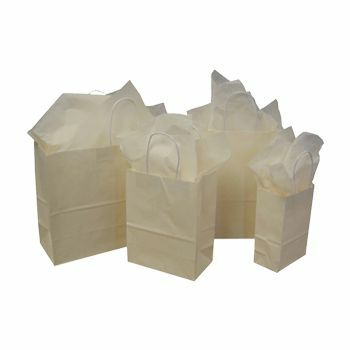 5.25 X 3.25 X 8.37"
8 X 4.5 X 10.25"
These gift bags come in solid colors tinted onto white kraft paper. 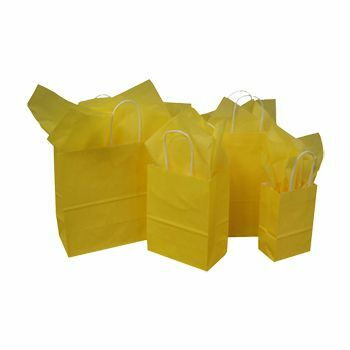 Each bag has twisted paper handles for easy carrying of gifts or purchases. Your customers will be impressed by the quality and simple elegance of these gift bags. Custom printing of your logo or company image is available in every color. 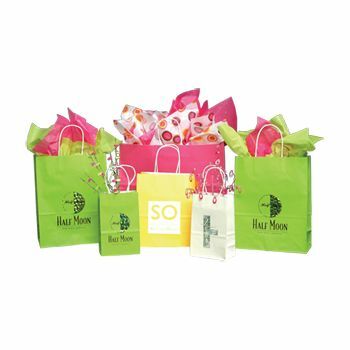 Rush production is available, and on-time production for your deadline is guaranteed. 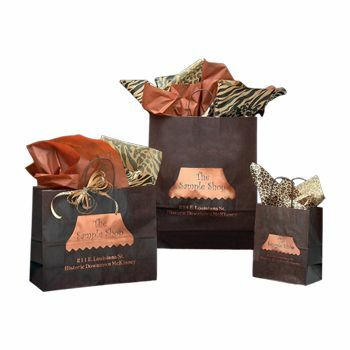 Start creating your customized gift bag now.